Handmade Pedal with a classic vintage sound! The limited edition Höfner Treble Boost pedal effect was created with the '60s and '70s in mind. With its "Range", "Shine" and "Body" controls you can push your signal to the foreground in different ways. The pedal is hand built in Europe and comes in a rugged metal chassis, it includes premium components and has a true bypass. 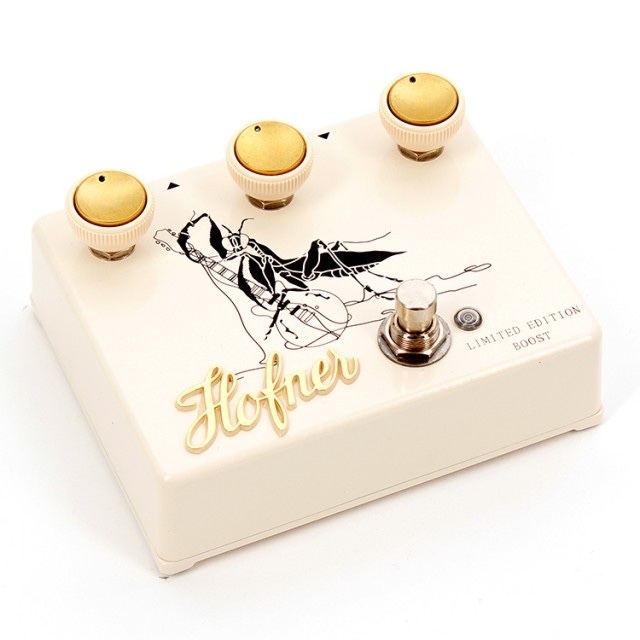 The Höfner Treble Boost is a replica of the "Dallas Rangemaster" and as such it's not an overdrive pedal, nor a clean boost. It simply gives your signal that extra push that makes it shine.